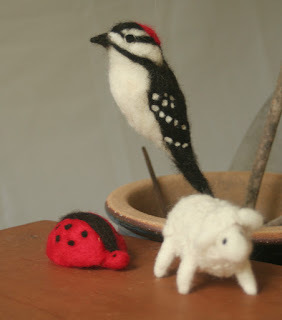 Bethany Homecrafts Upcycled Designs: What's Black and White and Red All Over? This is what I worked on yesterday and this morning, and it wasn't till I took the picture that I realized that it was all red, white and black. Brought to mind those silly jokes we told as kids...smile!